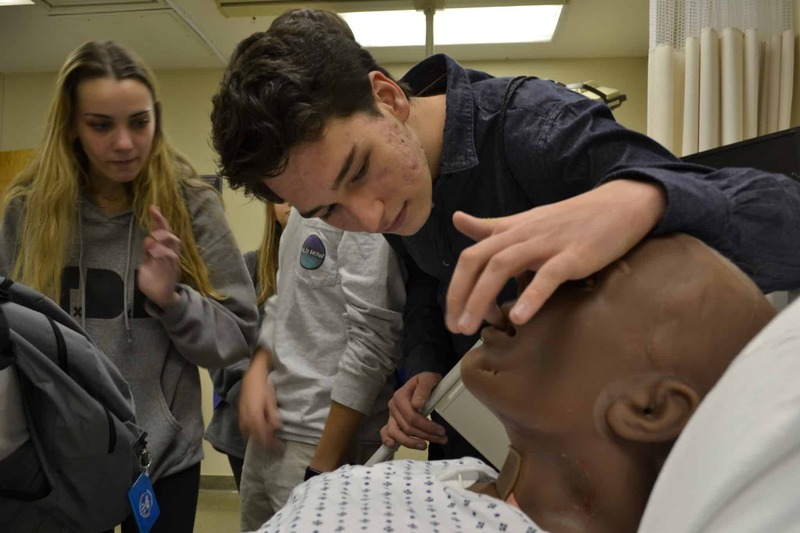 Students from Little Rock Central High School are surprised when a mannequin at the UAMS Simulation Center provides verbal feedback during their visit for Physiology Understanding ("PhUn") Day. Nov. 19, 2018 | Nearly three dozen students in ninth through 12th grades from Little Rock Central High School visited the UAMS campus recently to participate in PhUn Day, organized by the UAMS Center for Diversity Affairs and the Department of Physiology and Biophysics in the UAMS College of Medicine as part of the American Physiological Society’s national Physiology Understanding (PhUn) Week program. Visiting students received small gifts for PhUn Day. Chowdhury is a full-time member of the American Physiological Society and has been organizing this event for many years in Little Rock. In 2015, the American Physiological society awarded UAMS with a plaque for its five-year continuous participation in this event. 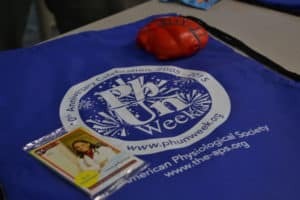 After being welcomed and having the importance of PhUn Week explained by Chowdhury, students spent the morning learning about real-world applications of concepts they’ve studied in science classes, hearing short lectures on transgenic research, genome sequencing, radiology and fitness. Presenters included: Patricia Wight, Ph.D., UAMS professor of physiology and biophysics; Stewart MacLeod, Ph.D., director of the Center for Translational Pediatric Research Genomics Lab at Arkansas Children’s Research Institute; Rupak Pathak, Ph.D., an assistant professor of pharmaceutical science; and Adam Carter, M.Sc., manager of the UAMS Fitness Center. 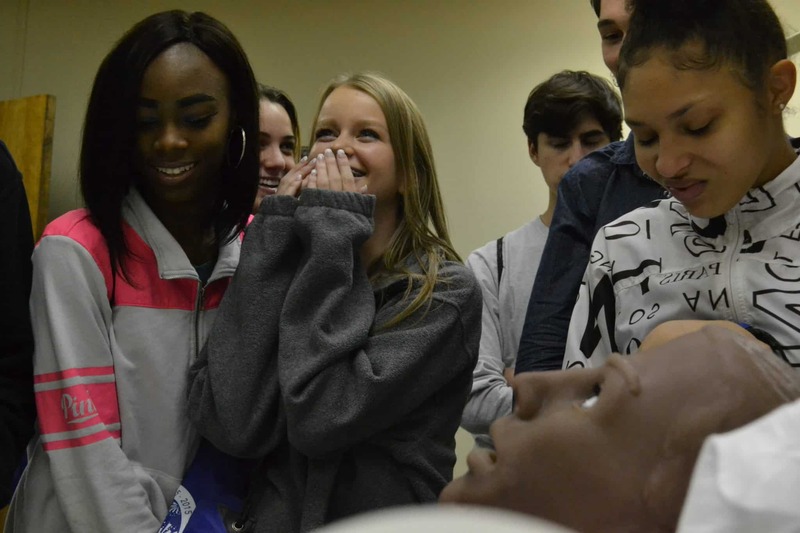 Students explored the UAMS Simulation Center and learned about training mannequins during PhUn Day. After the morning lectures, the students were split into groups and given tours of the Fitness Center, the Simulation Center and a handful of UAMS research labs. 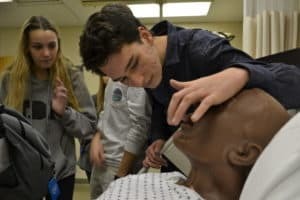 During these tours, which were led by UAMS staff and graduate and medical students, the visitors were able to see firsthand some of the research being undertaken at UAMS and were able to see how health care professionals learn and practice skills like intubation using lifelike manikins. 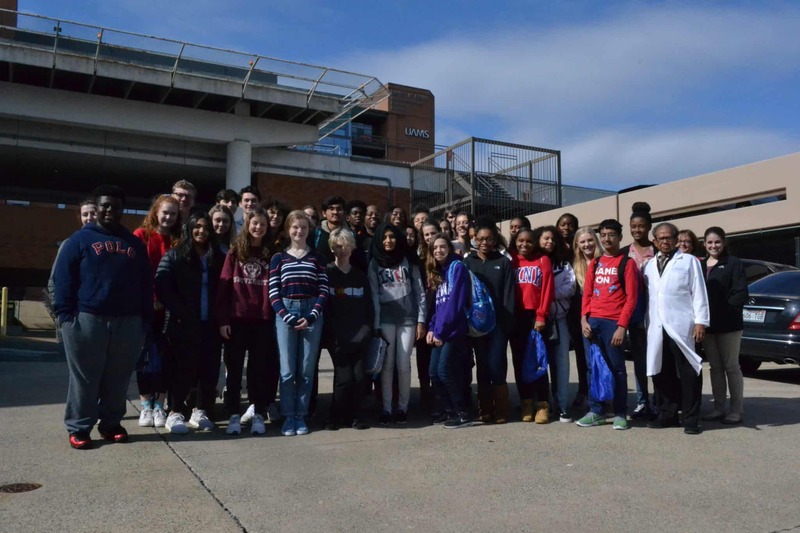 Little Rock Central High School students visited the UAMS campus to learn about applied physiology in research and health care.